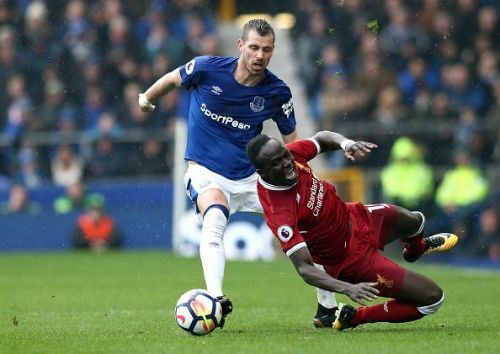 Liverpool and Everton played out a goalless stalemate in the Merseyside derby at Goodison Park on Saturday. The usually hyped game between the two fierce rivals was relatively low-key on this occasion because the fixture was sandwiched between the Champions League quarter-final legs for Liverpool. Both teams had their goalkeepers to thank for crucial first-half saves in a game that saw very few chances. 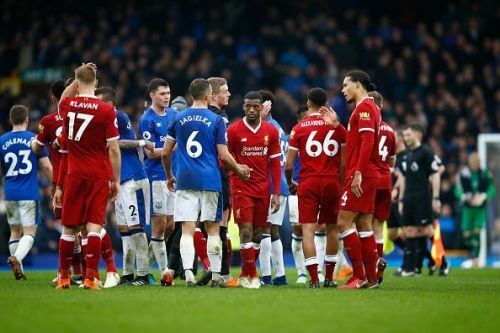 But Liverpool would consider themselves lucky to not concede towards the end of the match, as Everton failed to capitalise on defensive mistakes from the Reds. Some would say that Liverpool were lucky to come out from the game with a point, as Everton enjoyed the best chances and should have won but for some poor finishing. But, Jurgen Klopp will be disappointed that his side didn’t match their usual lofty standards in attack and could not strengthen their position in the race for top 4 as they dropped two points. We look at some of the factors which worked against the Reds in the game. It was a less than ideal situation for Klopp to have to play the derby sandwiched between two Champions League knockout ties in less than a week. Injuries to many key players - including the in-form Mohamed Salah - only complicated Klopp’s plans. The German manager had to do the fine balancing act of ensuring that his best available XI was fit and fresh for the game on Tuesday at The Etihad while also being competitive in the game against their local rivals. The team’s attack lacked its trademark fluidity and did not pose much of a threat to Jordan Pickford’s goal while the defence showed signs of fatigue, especially towards the end of the game, and they were lucky to not concede on at least two occasions.